This immaculate example of these proven designs was professionally built and has been very well maintained. 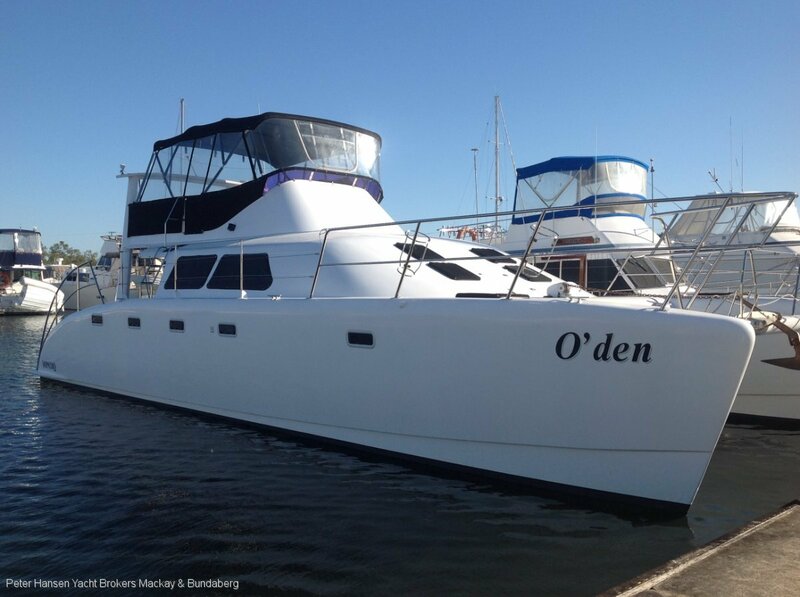 She boasts a spacious interior featuring 2 queen and 2 single cabins, 2 bathrooms, a large well equipped galley and air conditioning for those hot summer days. With twin 310hp diesel shaft drive engines she is fast and incredibly efficient. Capable of extended passages with a huge range on 1500l of diesel, this vessel is perfect for coastal cruising or ideal for those family weekends and day trips. Generator, Raymarine electronics, 3.1m Zodiac tender with a 15hp Yamaha. Vessels like this rarely come on the market, dont miss your oportunity.